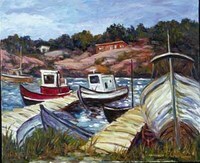 Grand Manan is the setting for the Fishing Stages. 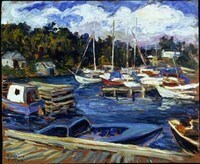 You will still find Margaret even at 84 travelling to paint, en plein air. Please view some of her collection of boats.